Delightful gifts for your party guests. 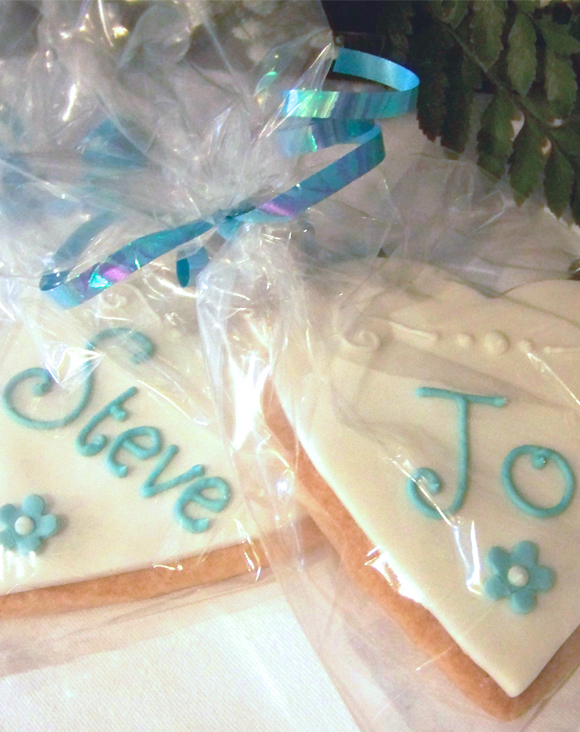 Our iced biscuits make wonderful wedding or party favours. They can be shaped and iced to suit any occasion and packaged in a cellophane bag with ribbon to match, they make delightful gifts for your guests. Affordable additions to your day. Iced biscuits start from £2.75 with a minimum order of 8, making them an affordable addition to your day. You can personalise them with initials, they could have the name of each guest on, to double up as place settings, or the design can take details from other aspects of the wedding/ party as its starting point. You can choose from vanilla or chocolate. 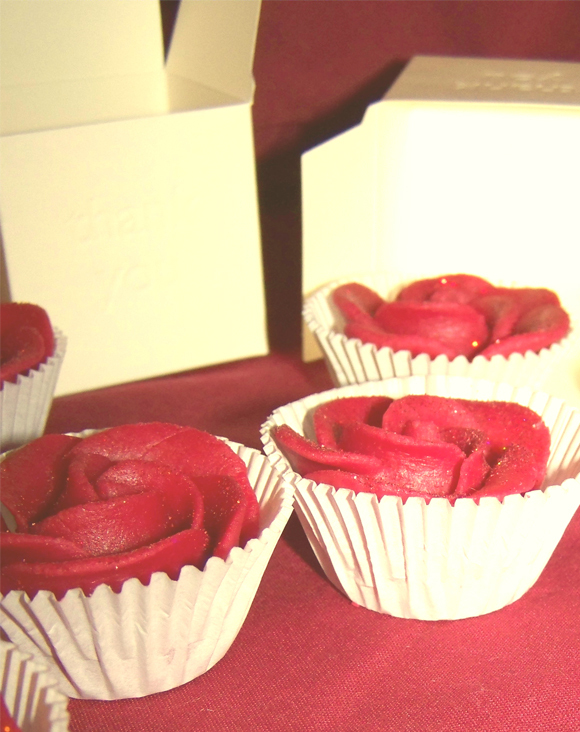 We have also made marzipan roses as wedding favours, so if there's something you would like us to try, then do let us know and we can talk about the possibilities. You can collect your favours from our shop, or we can deliver them to your home or venue for a small charge, providing the order meets a minimum value of £40.